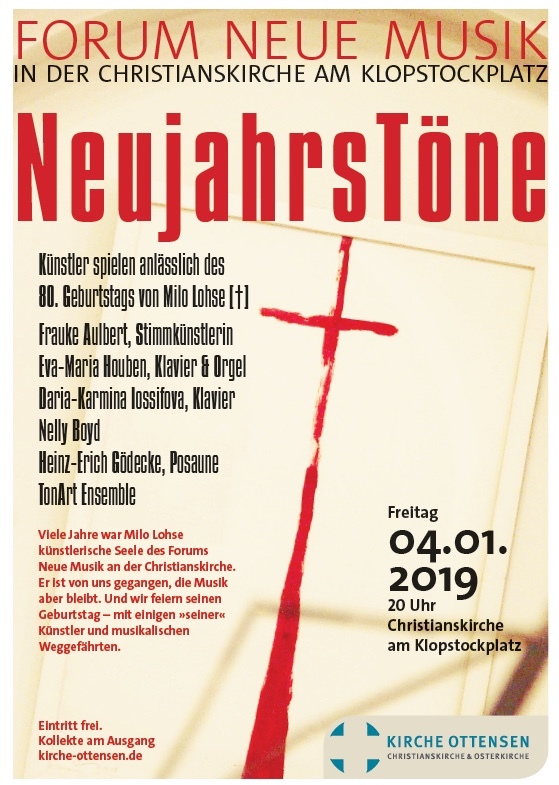 We will play in a concert for our late friend and furtherer Milo Lohse who died last year. Milo was the founder and organizer of the concert series „Forum Neue Musik“ in the Chtistianskirche. We miss him! 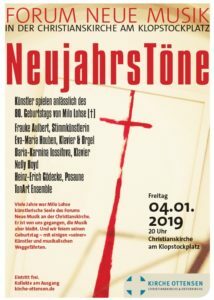 Also participating are Frauke Aulbert, Eva Maria Houben, Daria Iossifova, Heinz Erich Gödicke, Thomas Niese and TonArt Ensemble. We will play Criss-Cross (2013) for two electric guitars by Alvin Lucier. 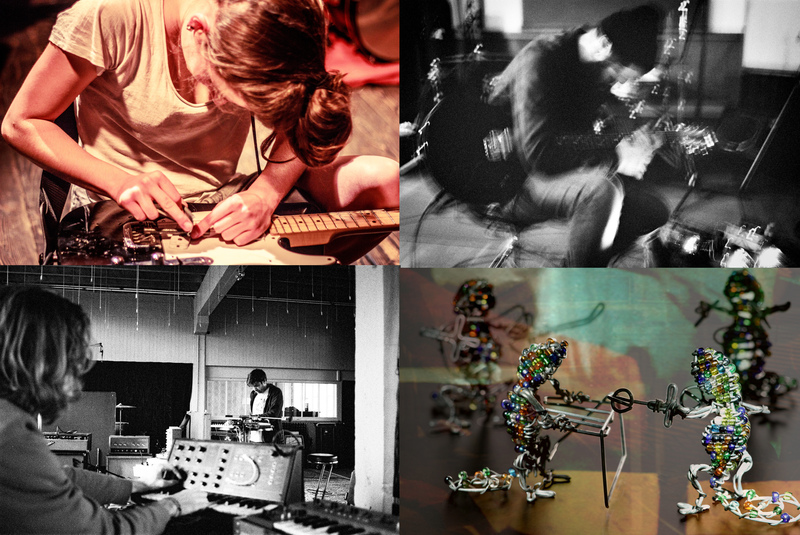 Four musicians from the contemporary experimental scene in Paris as guests of Nelly Boyd: solo and in different constellations. And of course Nelly Boyd, this time as a quartet of Moxi Beidenegl, Robert Engelbrecht, Jan Feddersen and Johann Popp. This concert is part of the Blurred Edges festival. Blurred Edges is supported by Behörde für Kultur und Medien Hamburg and Hamburgische Kulturstiftung. 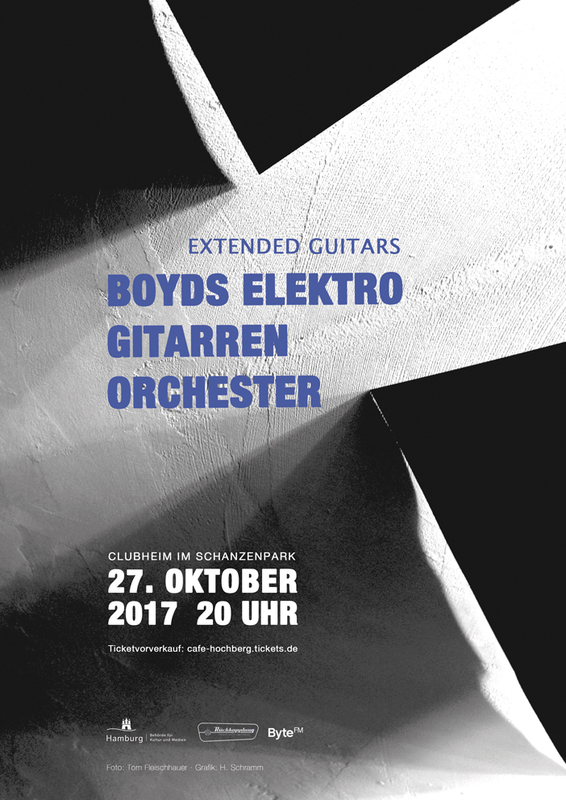 Boyds Elektro Gitarren Orchester will play at Club!Heim im Schanzenpark, Hamburg, on Friday, October 27, at 8 PM. Special thanks to Rückkopplung for amp support! The Nelly Boyd Quartet will present a set of drones around 11pm. 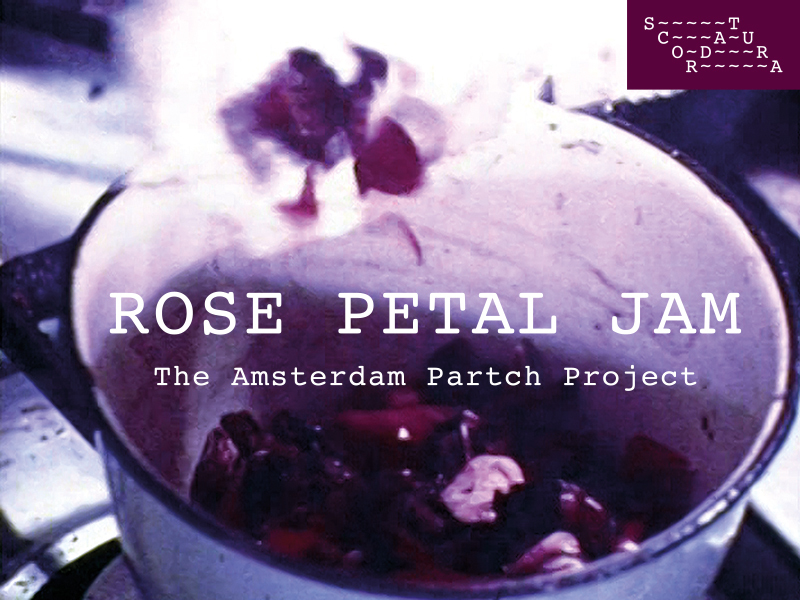 We are happy to announce that we invited our good friends from Scordatura ensemble (Amsterdam) to perform their new Harry Partch programme Rose Petal Jam at this year’s Blurred Edges festival! Save the date: June 7, 2017, 20:00, at the Christianskirche in Hamburg-Ottensen. More later. In the meantime have a look at their webpage for some info about this great project. 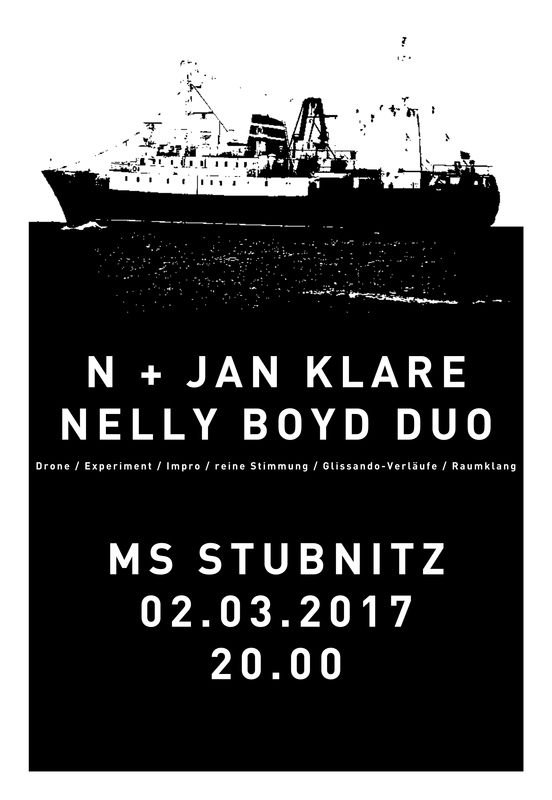 The Nelly Boyd Duo performs again on Thursday, March 2, 20:00 at the MS Stubnitz, together with N and Jan Klare. We are pleased to have been invited by our friends of Stark Bewölkt for a concert with Gene Coleman at Hörbar on February 15, 21:30. He will play a set with Michael Maierhof and Birgit Ulher. Nelly Boyd will appear as a duo of Jan and Robert, working with (e-)bowed guitars and cello, playing a set of a droney nature. We are playing at the Greatest Hits Festival at Kampnagel in Hamburg. Before and after us Ensemble Resonanz performs other works by Tenney, Pauline Oliveros and Elliot Sharp. As mentioned, we will play songs by Christian Wolff: Wake up & After a few years, maybe others.